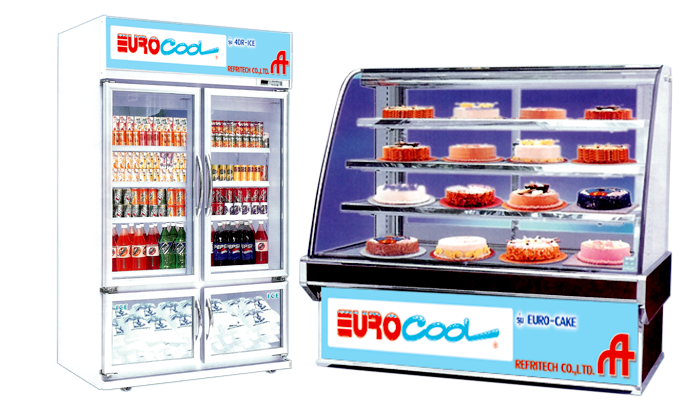 ITC’s Glass Door Cabinets Display is available in 4 classical and stylish models: EURO-2DR, EURO-3DR, EURO-CAKE and EURO-2DR-ICE. It is widely used in food storage such as beverages and cakes. 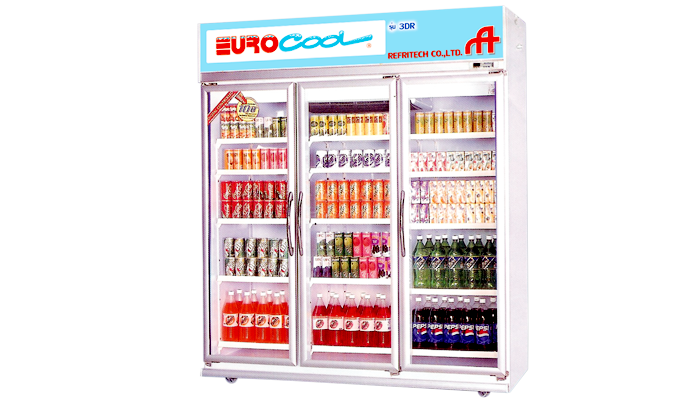 This countertop display refrigerator utilizes an eficient 1/2, and 3/8 horse power with R-134a/R22 refrigerant to maintain a cooling performance of 2-6/-10, 2-6 and 4℃ - 8℃. The fully insulated glass doors can largely promotes and speeds the cooling process up. Moreover, we trim the doors with durable stainless steel to ensure the high durability of the cabinet except for the EURO-CAKE model. This model already has double vacuum layers glass, which can perform as excellence insulation and can prevents fog from forming. The cooler also features interior lights and door lock for security.